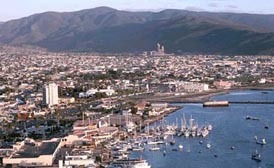 A common misconception and urban myth is that because Ensenada is so far south the summers are terribly hot and unbearable. However, this is untrue and much like many coastal areas a cool Pacific current keeps summers mild and agreeable. The average high temperature for the months of June, July and August is comfortable 76F (25 Centigrade). 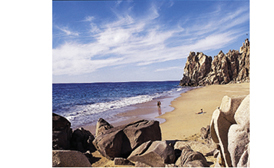 The fresh ocean breezes and the bright Baja sun make it an ideal climate for visits all year round and an excellent day trip venue if you´re lucky enough to live in the neighboring California region. 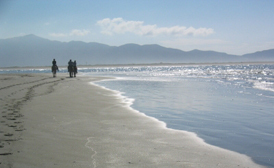 In Ensenada the winters are also mild. Evening lows rarely get into the mid 40s (7 centigrade) and afternoon highs average 68F (20 Centigrade). During the months of fall, winter and early spring, sometimes the wind can switch direction and come from the east off the central desert areas. These winds called Santa Ana can raise temperatures to the high 80s to low 90s (26-30 centigrade). Much to your delight, some of the hottest days of the year are often in the middle of the winter when this phenomenon occurs.